Hailing from Leamington, Ontario, Canada, the most southern tip of Canada lies the hometown of D'spayre. A hard rock group with influences of Jazz, Punk, Grunge, and of course good ol' rock n' roll. 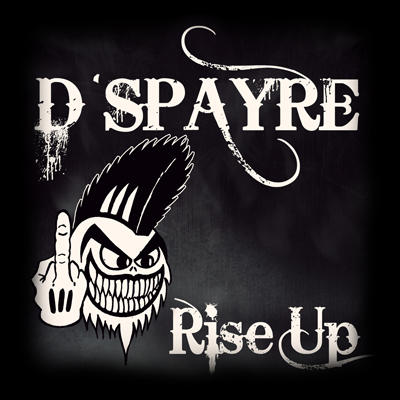 D'spayre has just recently released our EP entitled Rise Up, as a small but hearty glimpse into what we are capable of. Ultimate goal as a band is to bring listeners to a joyous place as they enjoy the foot tapping tunes! Rock on!! "Rise Up" was the works of one long Winter season, all the guys strapped down and got to work to finish this off within a deadline. Mixed & mastered by ex- lead guitarist of Megadeth, Glen Drover.